I do want more. 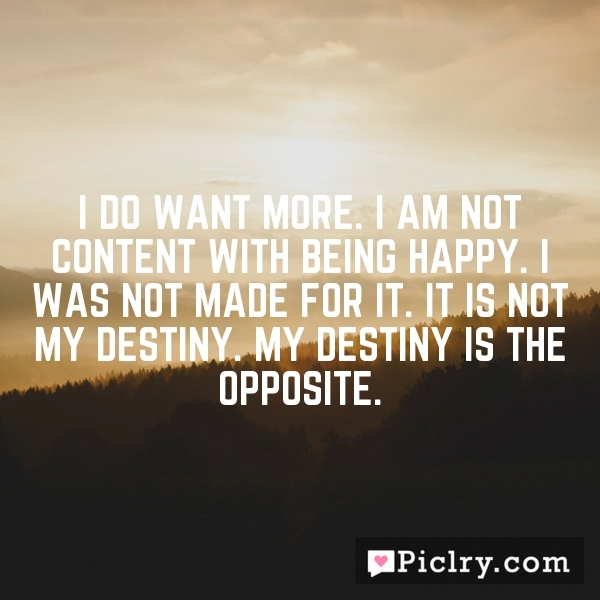 I am not content with being happy. I was not made for it. It is not my destiny. My destiny is the opposite.